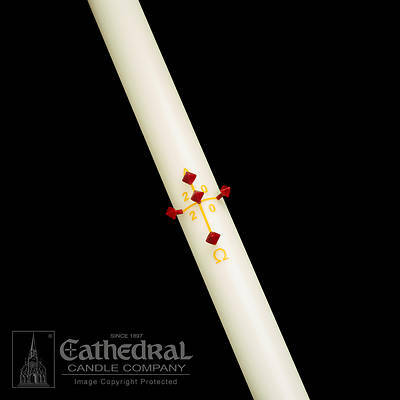 Cathedral Plain Paschal Candle 1-15/16" - 39"
This Plain Paschal candle is exquisitely crafted of 51% pure white beeswax; marked with a cross, an Alpha and an Omega—decal design may be easily peeled off. The four numbers of the year are marked between the arms. Includes incense nails and year dates.